Another Christmas card from me today - it seems so much closer now that it's actually only next month! I've made the borders with the Tonic Studios Regal Strip Intrica punch.The background die is Dragonfly Delight with an extra layered rectangle. 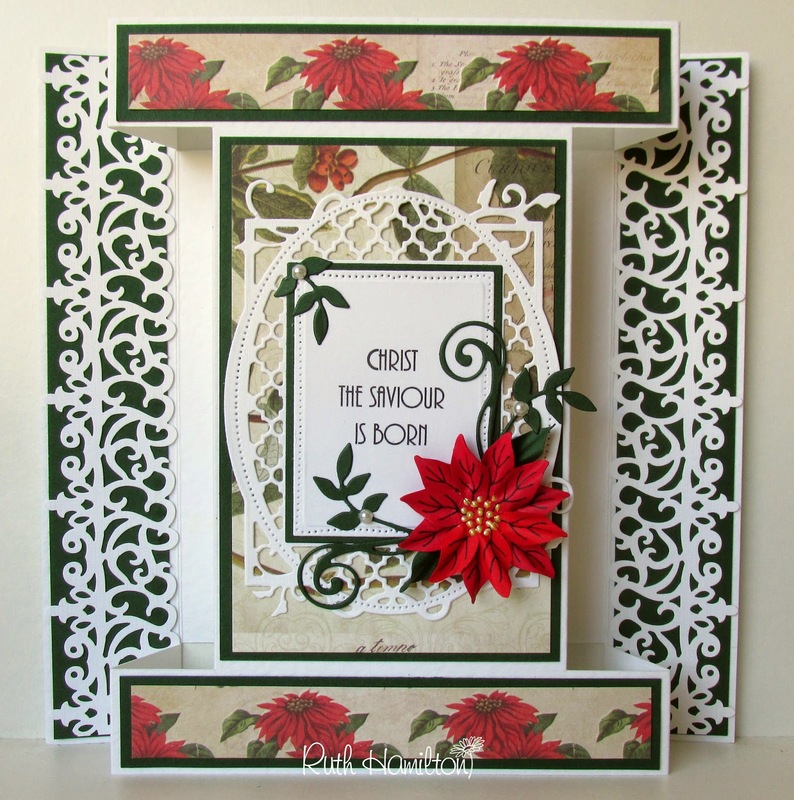 The flower was made with the Clematis, Lily Poinsettia Punch and Stamp set and I've added tiny leaves from the Royal Fern die set. I've used white hammered card, post box red and forest green card from Papermill for the card base, punched and die cut parts. The beautiful patterned paper is First Edition Vintage Noel by Trimcraft. 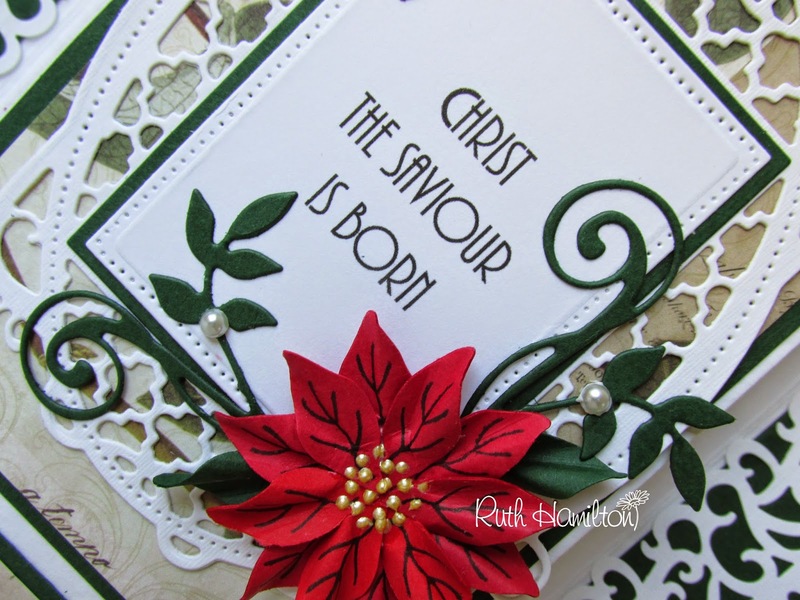 You can see more of my creations on my blog - A Passion for Cards.